This year we’ve decided it would be fun to run our very own design competition, giving everyone a chance to submit their artwork for possible inclusion on a ToDryFor tea towel. The winning design will become part of our ToDryFor range, earning the winner ongoing commission and international promotion and recognition. Oh yeah, and you'd get to work with us (so we'd send you emails with pictures of our cat, and chat about what you're planning to have for tea that evening, and that sort of thing)! Woop! Eek! Jonah's been eaten by a whale! Wow o wow!! We are super excited to be able to show you the latest tea towel in our ToDryFor range. May we introduce Jonah, designed by supremely talented artist, Peter Slight. 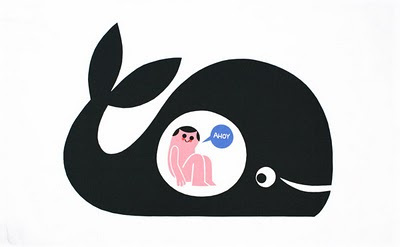 We're sure that Jonah is quite happy, sitting there in the whale's belly. They're probably having a chat about sailors, or they could be discussing the finer merits of shrimp v plankton. Tea? Nice biscuits? Yes, please!! 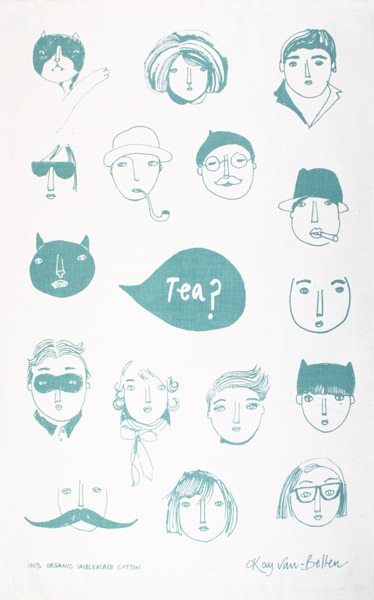 Tea? 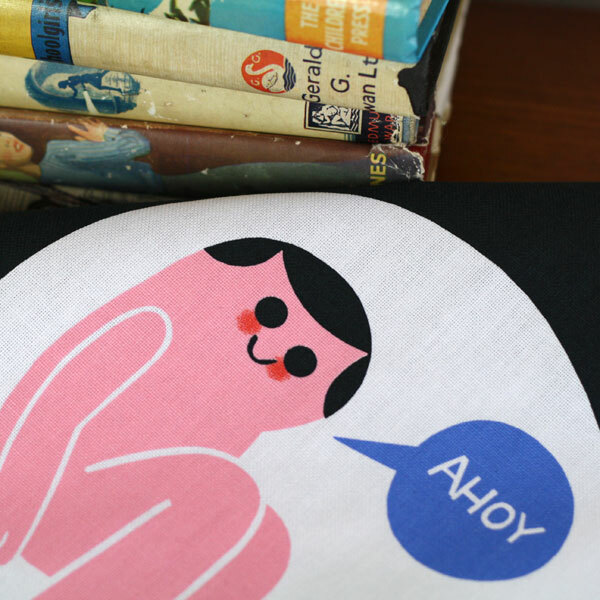 is designed by Kay van-Bellen; we love all these characters, especially the cats! 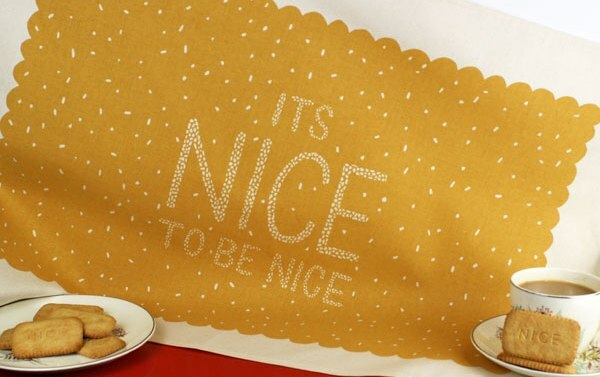 Nice to be Nice is designed by Hazel Nicholls; with so much sugary goodness, how can you go wrong? The last few days have been a whirlwind of activity! We're taking part in a Canadian documentary, produced by CBC, all about the build up to the Royal Wedding. 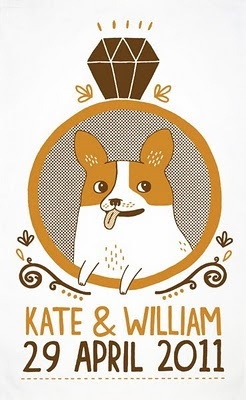 We commissioned the super-talented Gemma Correll to design a commemorative Corgi Royal Wedding tea towel for the occasion, and ever since then life has been a little crazy!! On Monday we spent the day with our UK printer, watching a cacophony of corgis going through production. 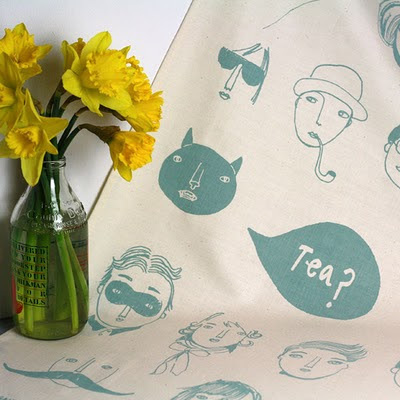 Today we've been filmed in our shop, Comma, talking all about tea towels (what else?!)! 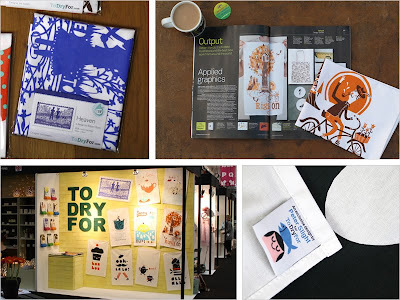 It's been loads of fun, and now we just can't wait to get the tea towels back from the printer (expected 14 Feb)! !